Discover more about private investigators capability, employment and regulations in Tennessee. Welcome to International Counterintelligence Services (ICS), a continental and international private investigation company. The success of many cases depend on how you decide to respond. It has proven critical to hire a private investigator quickly. You can receive a confidential free consultation 24 hours a day with one of our on-call licensed private detectives. We can be reached at (888) 223-6494 or contacted through our online free consultation system. Private Investigators in Tennessee are required to be licensed in order to conduct Private Investigation services. If your investigation requires the case to move out of state, the private investigator must still abide by any out of state licensing requirements. 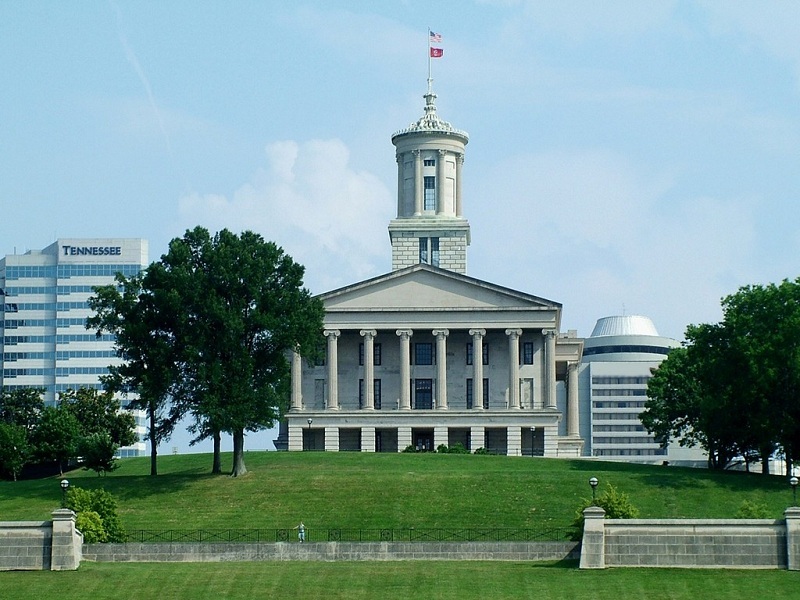 A private investigator in Tennessee must apply to the Tennessee Department of Commerce and Insurance and pass licensing requirements, including a thorough background check. While many Tennessee private investigators come from a law enforcement or military background, it is not a requirement for employment as a private investigator. Often times a degree in Criminal Justice or other security and investigation work can be just as important to prospective employers. In the State of Tennessee, it is against the law to provide the services of a private investigator without a Tennessee Private Investigator License. You can rest assured that any Tennessee private investigator assigned to your case with ICS is fully licensed and insured in accordance with Tennessee State Laws and participates in the required continuing education. If your spouse or significant other is cheating, you deserve to know the truth. As difficult as it may be to come to terms with the fact that your loved one is having an affair, you are going to need to get all the facts and protect your interests and well being. Coping with infidelity is not easy, but living with it is worse. A private investigator at ICS can help you determine whether or not your loved one is being unfaithful with an Adultery, Infidelity or Cheating Spouse Investigation. Some common signs of cheating are: excessive or discreet use of the computer, spending more time at work, hiding their phone, credit card, or bank accounts histories, excessive arguing of facts related to time, blaming, defensive behavior, negative projections behavior - accusing you of an affair, lack of sexual interest or abnormal renewed sexual interest, abnormal call activity at the home or cell phones - hang ups and long tones, removal of pictures or photos from wallet, lost wedding ring, etc. If your spouse or loved one is exhibiting some or all of the common signs of cheating, you should contact ICS today to begin a case and discover the truth. Our infidelity private investigators in Tennessee will conduct a thorough investigation of the suspected cheater and provide you with our findings so that you can make the most informed decision for your future. The most important factor in determining the custody of a child is the child's welfare. The best interest of the child is evaluated by a court based on a set of guidelines to ensure the child has a safe, healthy, loving and stable environment. Once custody has been determined, visitation arrangements are made for the parent without custody. Although it is important, normally, that each parent or known guardian remain a strong part of a child’s life, it is equally important that your child not be in an unhealthy environment. If you believe that the best interests of your child are not being met with the current child custody or visitation arrangements, ICS can help you in your efforts to prove your case, documenting the evidence to support your claim, with a Tennessee Child Custody Investigation. During the course of a child custody or child visitation investigation, ICS Investigators may interview friends, neighbors, relatives, school employees, doctors and day care workers. State and local Child Support Enforcement Agencies in most jurisdictions are mandated under law to enforce court orders and collect child support. Typically, these agencies are understaffed and limited in their ability to find deadbeat parents and hold them accountable. In addition, the government’s investigative techniques are both predictable and superficial, and deadbeat parents quickly learn how to live beneath the radar and avoid being located. Fortunately, the private investigators at ICS are better equipped to quickly locate, and build a case against a deadbeat parent. ICS will use methods such as surveillance, hidden asset checks, public records searches, skip-tracing, undercover operations and others services in a Tennessee Child Support Investigation. Traditionally, it is seen as law enforcement's job to locate missing persons, especially in the case of a kidnapping. However, police and other law enforcement officers are restricted by regulations and resources, and in some cases will not even consider someone as a missing person, even though you may. In addition, police will only take on a case to locate a person if a crime has been committed. If you are searching for a lost loved one, and old friend from school, a debtor that owes you money, or other lost person, you will need to turn to a private investigator rather than the police to begin an investigation. ICS can assist you with a Missing Person or Locate Lost Person Investigation to discover the whereabouts of someone who is not easy to find. ICS can also perform a Birth Parent Locate Investigation in Tennessee on your behalf. If you need to locate a lost or missing person, and need results that you can't obtain elsewhere, contact ICS to begin your case. Do you need a background check performed on an individual in the State of Tennessee? Are you in Tennessee and need a background check performed elsewhere? ICS can provide this service and many others. Background checks are one of the most well known and useful investigation tools a private investigator can provide. Sometimes a background check is all a client needs and other times it is merely the first step into a more in-depth investigation, providing clues and leads for the investigator and client to pursue. Background checks are also an important part of the Pre-Employment Screening Services offered by ICS. If you need Pre-Employment Screening services, a background check or an investigation involving one, the professionals at ICS are ready to work for you to provide the discreet and confidential service you need. ICS has been helping people in Tennessee just like you get results since 1967. Please note: ICS is not licensed in State of Tennessee and if you reside in the State of Tennessee and the subject matter of your inquiry is private investigations, in the State of Tennessee we may not be able to assist you pursuant to existing Tennessee private investigator laws and regulations without the use of local sub-contractors where permissible. Not all services offered by ICS require licensing within the State of Tennessee.